Selfies have become the cultural artifacts of our time, a digital mosaic of the diversity of our online lives. And while some say selfies are a mark of a deeply narcissistic culture, others say selfies are a new version of the old idea of the self-portrait. Some understand the selfie as an important means of self-expression and an affirmation of self-love. Selfies have also become a key component of a person’s “personal brand”. Whatever your take on selfie-culture, there is no doubt that the selfie is an icon for our time. The act of identity construction performed online is at once a private and individual performance. But it is also a communal and public activity. So what layers of our true selves can be shared in a selfie? And what does it even mean to be authentic in digital life today? What does “selfie culture” say about the world we’re living in now? How can thinking about self-representation in the digtial age help us make better decisions about sharing parts of ourselves, and even understand one another better? 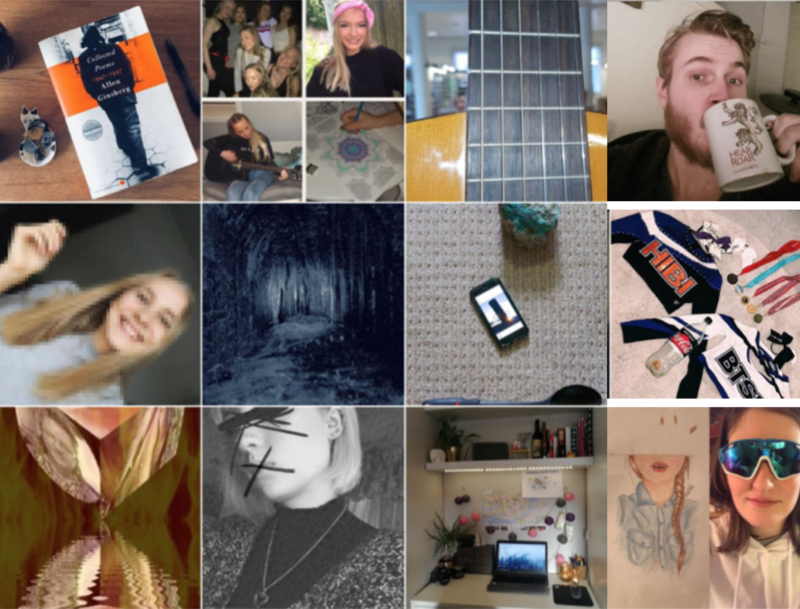 With The #SelfieUnselfie Project, Fulbright grantees Mia Zamora, PhD and Hannah Kelley have curated and aggregated a selection of photographs that have been titled “unselfies.” These unselfies are the result of a public invitation to consider how one represents themselves in the digital age. The #SelfieUnselfie invitation remains open. We welcome you to join us in our crowdsourced community reflection. In the process of compiling a variety of “unselfies,” we also conducted conversations and workshops with young people. The observations that have surfaced from those conversations will be presented by Mia Zamora, PhD in the Bergen Public Library. Our work is both a commentary on, and a celebration of, what we choose to reveal (or not reveal) of our true identity online. We welcome you to explore The #SelfieUnselfie Project, and to participate!